GLOSSIER. One brand, millions of fans -1.6M to be exact. At least on Instagram. A beauty brand like no other. That celebrates real skin (for those who are blessed with it) rather than cakey make up looks (for the rest of us). How refreshing. Almost as refreshing as their pink-hued branding and aesthetic. Now what do you have when you combine GLOSSIER + ASOS? Millennial goals. Duh! Let me explain. 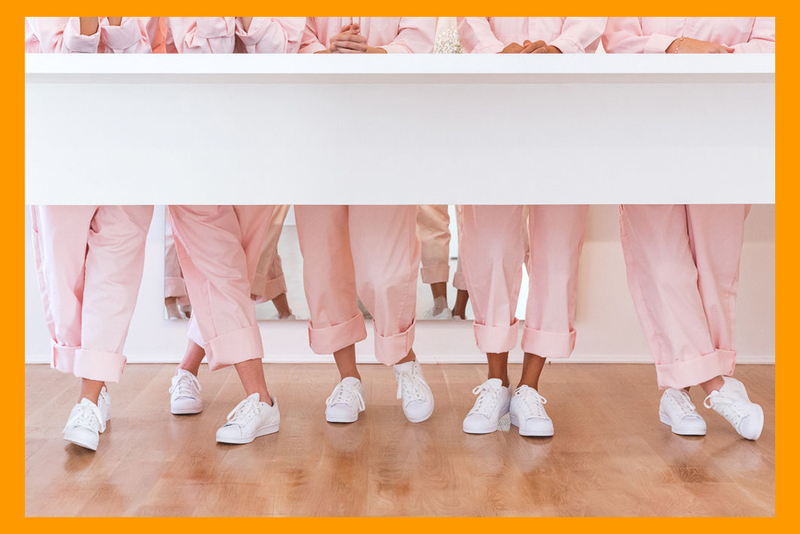 I first saw the team G uniforms at the Glossier pop up in London on a rainy grey day last July. 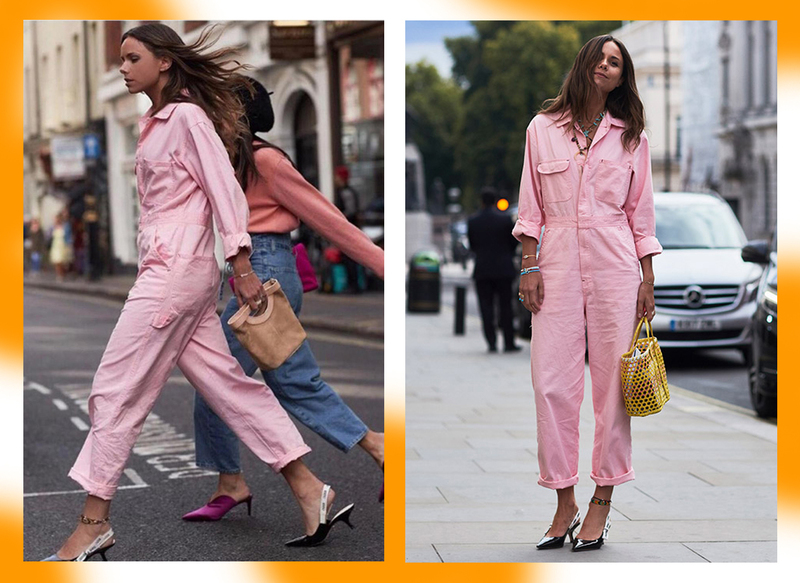 They consist of a to-die-for pink boilersuit/coverall/jumpsuit, white sneakers and sometimes a black ribbon around their ponytails if they are feeling sassy. Dreams! After slathering on every.single.product available to me I approached a team G member all beady-eyed and excited and asked whether I could get my hands (and legs and toosh) on one of the boilersuits...to which she replied with two of the most hurtful words in the English language "Sorry, no". Devastation ensued. Needless to say, I ventured on a never ending world wide web search for THE boilersuit of dreams. And then in a few short months, I saw the gorgeous and #VIDEOgirlgang member Florrie Thomas of And Finally wearing a similar one at LFW! Hmmm I said, the plot thickens. I gagged at the fierceness and after a very short online search I found out it was from ASOS, a sliver of hope! Could this be? 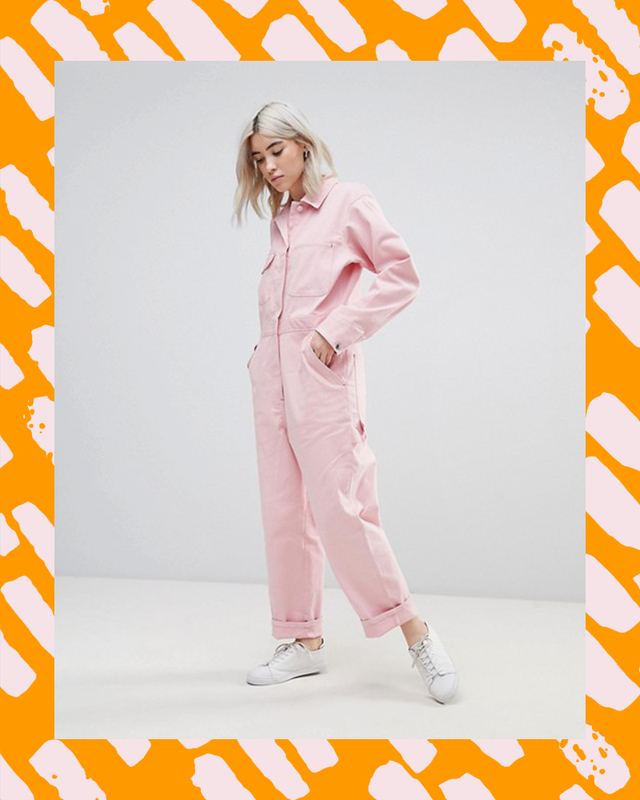 Little did I know, the pink twill boilersuit that haunted my dreams would not be available for a good few months. Halloween, Thanksgiving day, Christmas, New Year's, my birthday came and passed, sadly with no boilersuit boxed up as a present. 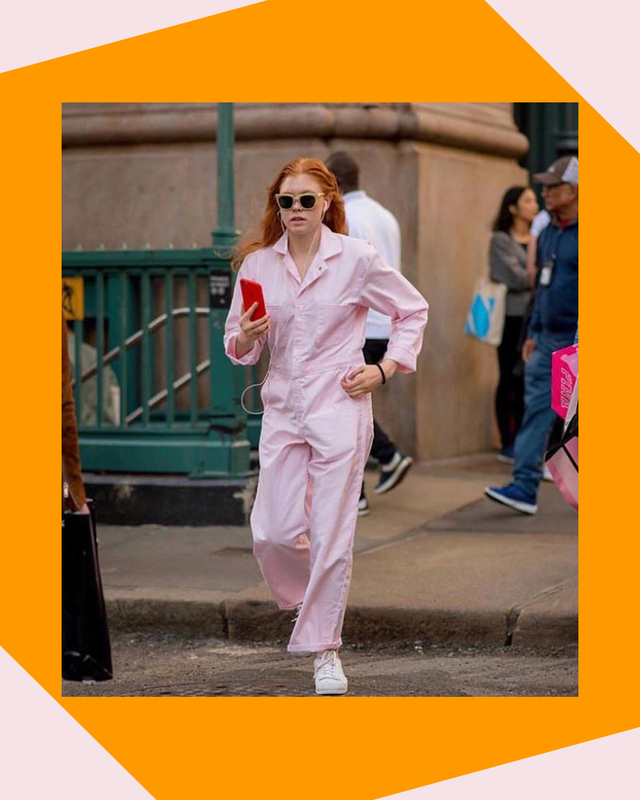 I had almost given up hope and then one day, a couple of weeks ago, I spotted a cute redhead on the Glossier Instagram wearing the coveted piece and the flame (to find one) was reignited. I knew where to look this time so no second was wasted. I typed in the magic words and to my surprise, a perfect match emerged in the search results. HAPPY FREAGGIN DAYS. Which brings me to today. Happily sipping on a cup of tea on a rocking chair with a cat on my lap whilst eagerly awaiting the postman anyday now. Jk I live in 2018 not Inspector Gadget's set. Will update you with a pic on my Insta once I slip into it. Are there any peeps out there who have been looking for one too?! Get yours here. Or here.